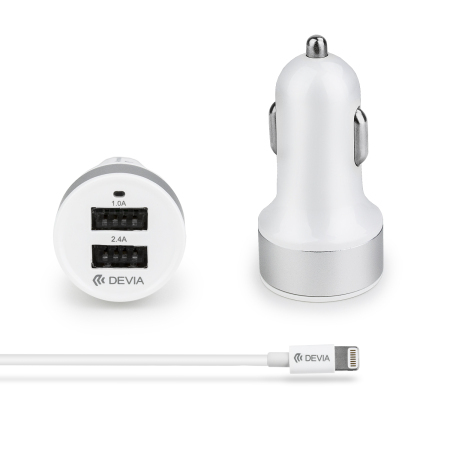 This USB car charger from Devia packs 10W of power into a slim, lightweight and portable package. Featuring 2x standard USB ports and coming complete with an Apple Lightning cable for a wide variety of Apple devices, including iPhone, iPad and more. 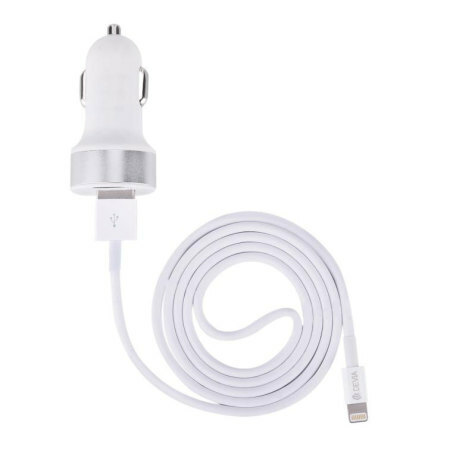 Designed to replenish smartphone and tablet batteries quickly and efficiently, this Devia Lightning Car Charger can keep your Apple Lightning devices topped up with battery power during short or long journeys. 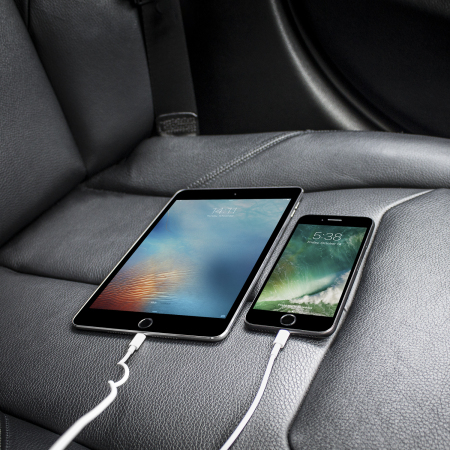 No need to worry about supplying your own charging cable, as this car charger comes complete with a 1m Lightning cable. This charger is therefore compatible with virtually all recent Apple devices, including iPhone 7, iPad 2017 and more. 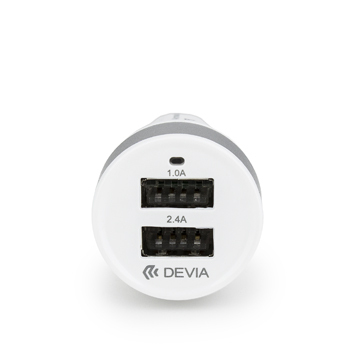 There's no chance your devices will overheat or be damaged due to too much power being supplied to them with the Devia MFi Car Charger. In-built circuit protection ensures that your devices will never be overcharged, instead only drawing as much power as they need. 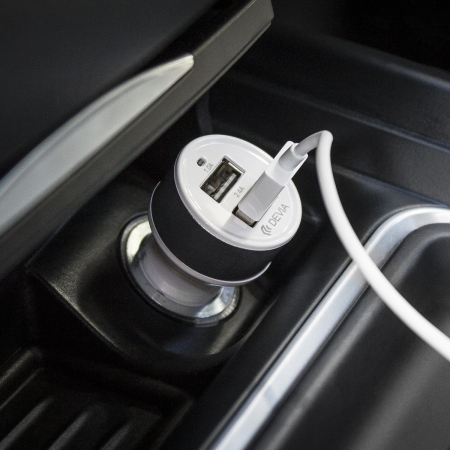 As this car charger will be invaluable to you and your Apple devices on many journeys, one of the most important things is a portable, lightweight build. 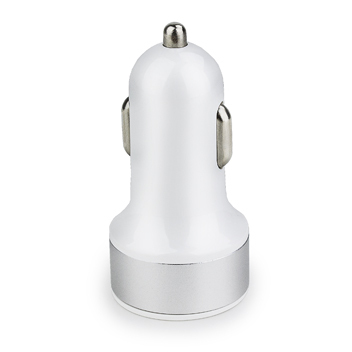 This car charger's rubberised soft touch finish enhances the grip and feel, while a portable, lightweight build makes storage easy anywhere - a glove box, backpack or even a pocket.